Amazon Elastic Compute Cloud (AWS EC2) is the Amazon Web Service which is used to create and run virtual machines (instances) in the cloud. This step-by-step guide helps administrators to successfully launch a Linux virtual machine on Amazon EC2 for Free of Cost. By referring previous post, you must have created AWS account for Free. 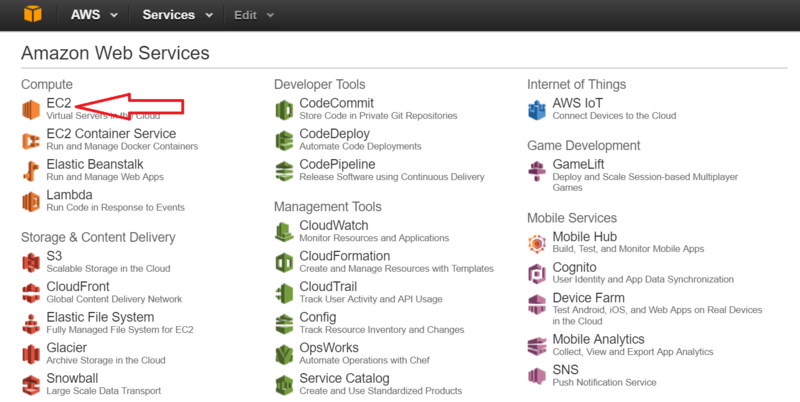 Click here to open the AWS console home page. 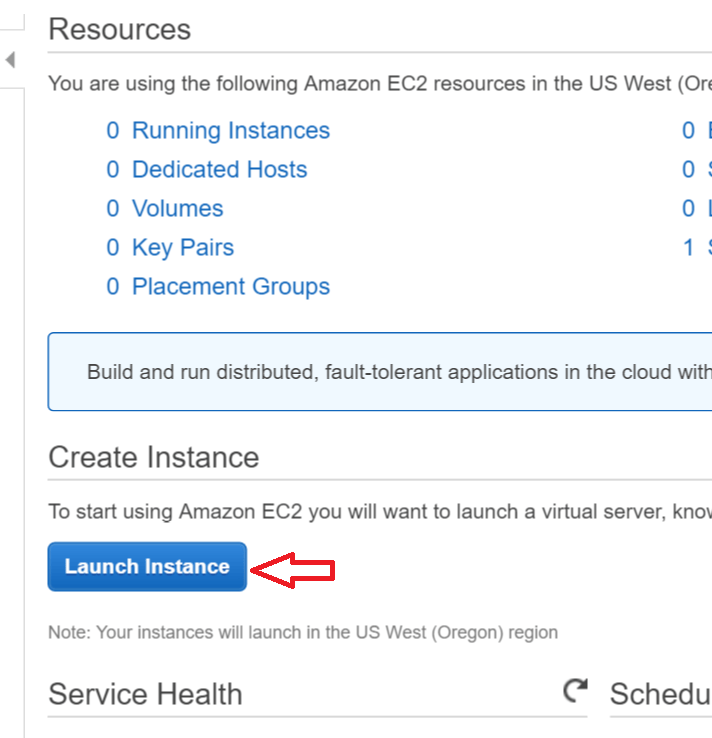 Click on EC2 to launch a new instance. To start using Amazon EC2 you need to launch a virtual server, known as an Amazon EC2 instance. Select any flavor like Ubuntu, Red Hat etc. which you are familiar with. Please note if you are going to create instance for FREE then choose the instance which is free tier eligible. Here we will choose Red Hat flavor of AMI. Amazon EC2 provides a wide selection of instance types optimized to fit different use cases. Instances have varying combinations of CPU, memory, storage, and networking capacity, and give you the flexibility to choose the appropriate mix of resources for your applications. Choose any instance type based on your requirement. For learning perspective, here we will choose “t2.micro” which is available for FREE. Next click on “Configure Instance Details”. Now configure the instance details, if you are familiar with Networking and Cloud instances else leave it with default settings. Make sure number of instances is set to 1. Next click on ‘Add Storage’. Refer the screen shot above for reference. Here you can choose size of storage for this instance. We are choosing default 10 GB storage. NOTE: You can use up to 30 GB of EBS General Purpose (SSD) storage for FREE. Then click on ‘Tag Instance’. Give a name to this Instance and click Configure security group. Here you can configure the firewall rules that control the traffic for your instance. Click on Add Rule button for adding new security rule. Now click on “Review and Launch” button. Then again click on ‘Launch’ to launch this Instance. You will get a screen to generate authentication key pair. NOTE: Make sure you have downloaded the private key file (.pem file) else you will not be able to access your instance. After downloading the private key (.pem file), click on “Launch Instances” button. After Launching the Instance, you will get message “Your instances are now launching”. Click on “View Instances” button to see the details. As shown in above image for each instance, you can see complete details like public IP, private IP and name etc. Here we have not set any elastic IP to this instance, so public IP may change after every reboot. That’s it!! Now you have launched your EC2 instance for FREE. You need PuTTY to access this Instance through Windows. 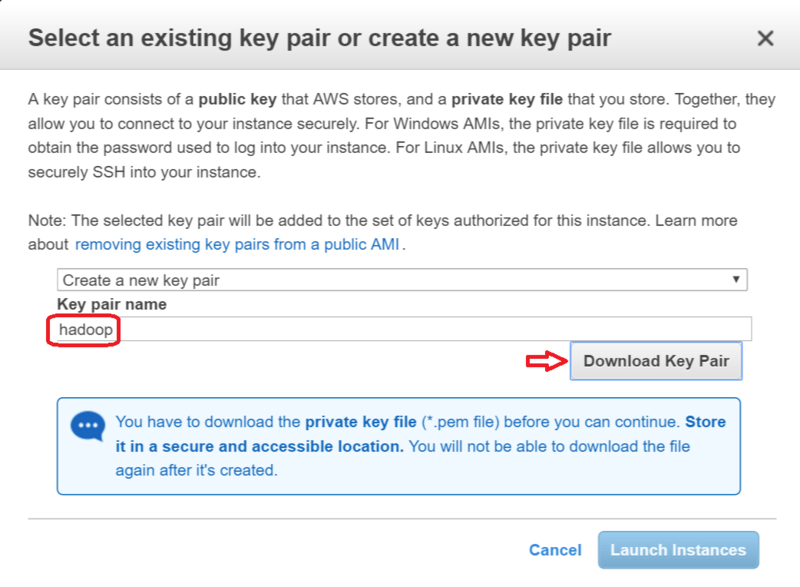 PuTTY does not support AWS private key format (.pem) generated by Amazon EC2. 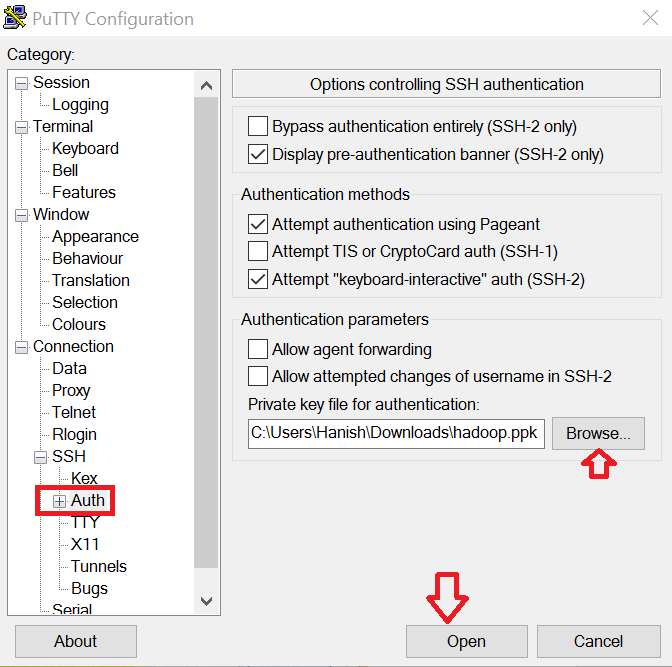 PuTTY only reads .ppk file format for authentication so first you need to convert private key file from .pem into .ppk format. 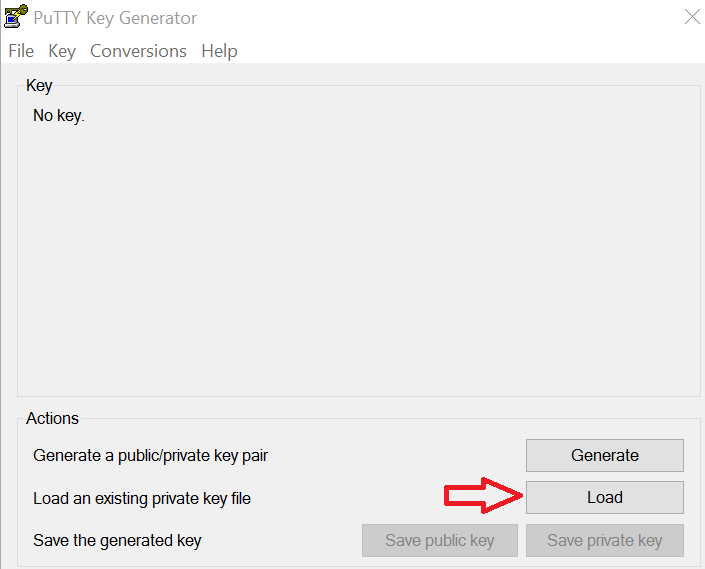 For this first download PuTTY Key Generator (puttygen.exe) from here. After downloading the PuTTYGen, open this tool. Click on “Load” button. It will open file browser, now select file type as “All Files” and then you will have to attach your EC2 key pair file (.pem file). 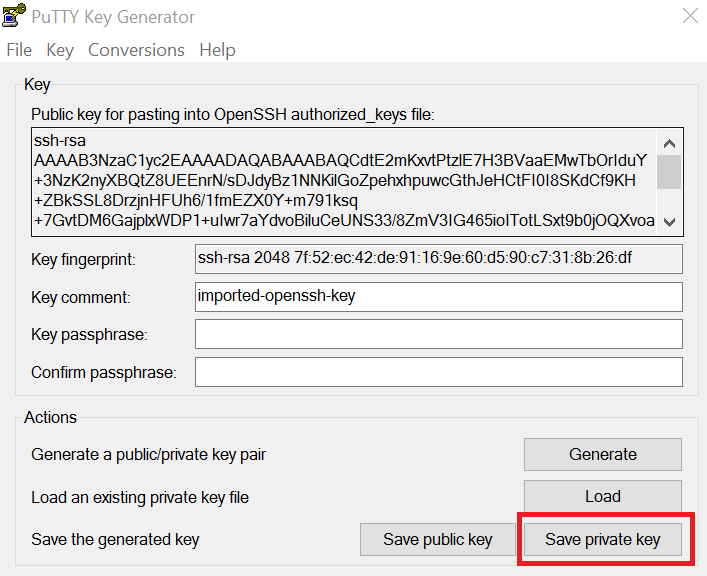 Click on “Save private key” button and save ppk file on your system. 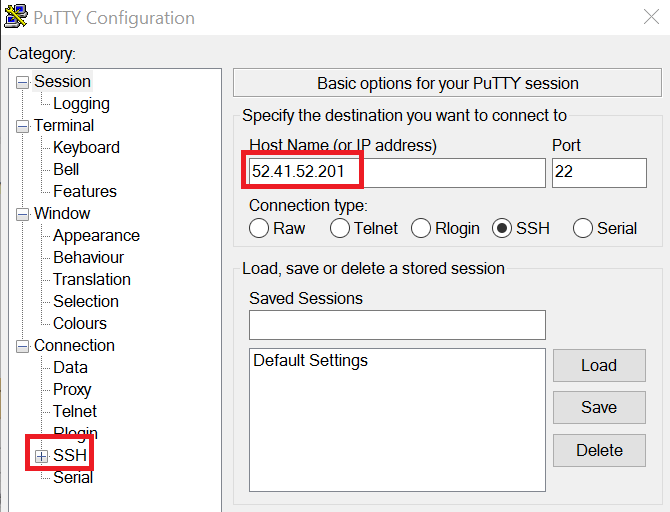 You can now connect to your EC2 instance using PuTTY’s SSH client. Enter public IP address of your instance. When it will prompt for login name, type ec2-user and press enter. Now you have successfully login into your instance. In case you have created multiple EC2 instances, then you might get charged if you don’t stop the instances. After stopping the instance, similarly you can start it based on your needs. This entry was posted in Cloud Computing, Linux and tagged AWS, EC2, Free instance on AWS, Linux machine on Cloud, Login into machine using ppk file, Putty, Putty Key generator. Bookmark the permalink. David on Recording Modes in UFT!!! Metrolockansafe on How to launch Firefox, Internet Explorer, Chrome and Safari using Selenium WebDriver?